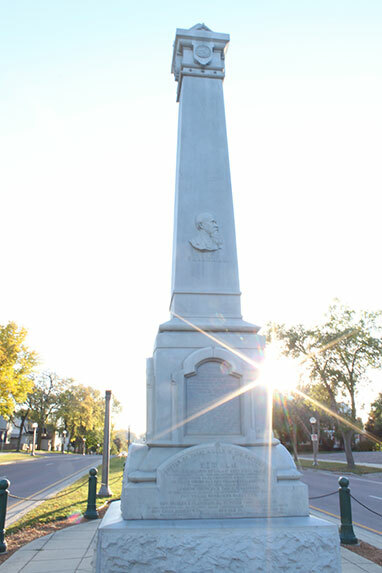 Erected by the State of Minnesota in 1891, this monument honors those who defended New Ulm during the Dakota War. The artwork at the base was created by New Ulm artist, Anton Gag. Originally sited at the intersection of State and Center Streets, the monument was moved to its present location in 1917 for safety reasons due to the rising use of automobiles. Walk up to the monument (accessible from State or Washington Streets) to see the basreliefs on the base and read the inscriptions. Tap on the monument, and you’ll discover that the stonelooking structure is actually made of metal! Location: In the median of Center Street, between State and Washington Streets.